What is AVCHD? AVCHD is a format for recording and playback of high definition video which is also called Advanced Video Codec High Definition. AVCHD and its logo are trademarks of Panasonic corporation and Sony corporation. AVCHD Codec - AVCHD files are used by some cameras from Sonya and Panasonic, but many digital players don't support it, so you have to download AVCHD codec if you want to play or edit AVCHD files. Oxygen AVCHD Player will no longer be updated. The input Files is AVCHD, H.264. Oxygen AVCHD Player with simple and stylish user interface, allows to play AVCHD streams in real-time on your PC. Your AVCHD clips can be played directly from AVCHD camcorder or local PC folders. BS.Player is a Windows based multimedia player that plays all types of media files (AVI / MPG / ASF / WMV / WAV / AVCHD m2ts / FLV YouTube videos / MP3) and specializes in video and DivX playback. 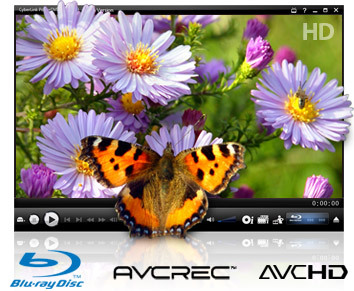 BS.Player is also a AVCHD player and enables you to display AVCHD video format movies (Advanced Video Codec High Definition) used in digital tapeless camcorders. It can automatically search and download missing subtitles for currently playing video, if available. High Definition H.264 video codec that is based on the MPEG-4 Part 10 standard. The CoreCodec CoreAVC High Definition H.264 video codec is based on the MPEG-4 Part 10 standard and is the video codec used in AVCHD, Blu-Ray and in HD-DVD. H.264 is the next-generation standard for video, and CoreAVC is being recognized as being the world's fastest H.264 software video decoder. Cyberlink PowerDVD Ultra supports playback of the AVCHD files and a whole host of other high definition formats. In addition to playing back your HD camcorder files, PowerDVD Ultra plays back Blu-ray and HD-DVD disks. It also makes it possible to expand your HD video editing options, by using the included codecs to render the AVCHD M2TS video in apps like VirtualDub. PowerDVD play Blu-ray movies in spectacular quality with PowerDVD, the premiere Player Software on your PCTrueTheater Technology for maximizing your DVD Playback: Just when you thought DVD movie quality couldn't get any better, PowerDVD 9 DVD Playback Software introduces TrueTheater technology that radically enhances your viewing pleasure. FFDSHOW is DirectShow and VFW codec for decoding/encoding many video and audio formats, including DivX and XviD movies using libavcodec, xvid and other opensourced libraries with a rich set of postprocessing filters. It is AVCHD codec for windows media player. FFDSHOW is a DirectShow decoding filter for decompressing several video formats, including DivX, XviD, M2TS, MTS, WMV, MPEG-1 and MPEG-2 movies. Filter also supports nowadays decoding of virtually all audio formats used in movies, including AC3, DTS, MP3 and Ogg Vorbis, and several subtitle formats. 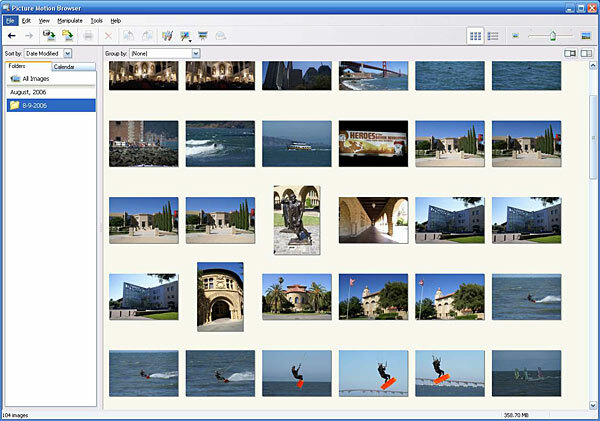 I recommend Picture Motion Browser(PMB). Picture Motion Browser(PMB) is an easy-to-use PC application that takes the hard work out of sorting the biggest media collection. With this software, you can automatically organise pictures and movies into folders or according to the date that they were shot, simply by importing them into your VAIO. For example, you can see the record of a child's growth by viewing pictures in chronological order, quickly and easily. Picture Motion Browser(PMB) is an easy-to-use PC application that takes the hard work out of sorting the biggest media collection. 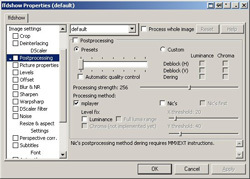 With this software, you can plays back AVCHD formats on most computers. You can automatically organise pictures and movies into folders or according to the date that they were shot, simply by importing them into your VAIO. PMB is also equipped with Highlight Index. It's easy to search for the images.